Are you ready to be a leader of a battle with awful monsters? Participating in Minecraft Tower Defense Hacked brings you a chance to test your fighting strategies. In this battle, you are given a mission that you have to protect the treasure kept in a house at any cost. You can use a large number of given blocks to buy necessary weapons so that you can protect the treasure and destroy ugly monsters much more successfully. From the money got from destroyed monsters, you will invest in buying powerful tools and upgrading previous weapons. 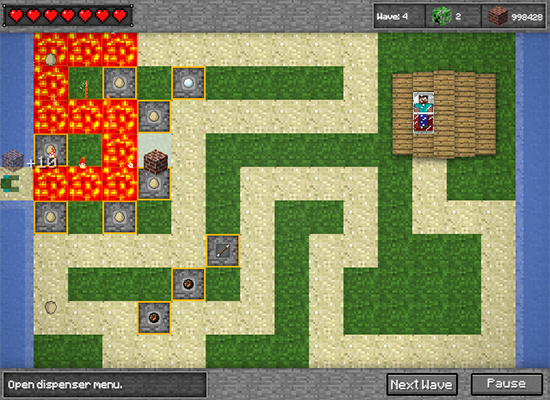 Minecraft Tower Defense Hacked is played with the mouse.